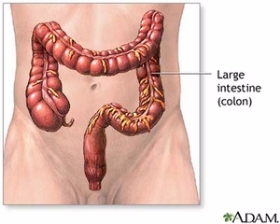 A colon resection, or colectomy, is a surgical procedure to remove either part, or all, of the large intestine (colon). This procedure is performed to repair a congenital abnormality or damage caused by a disease condition, a traumatic injury or a severe infection. A colon resection may be performed as an open procedure or laparoscopically. Wherever possible, the laparoscopic procedure is preferred since it results in smaller incisions, fewer complications, and a shorter recovery period. Normally, during a colon resection, after the diseased portions of the colon are removed, the healthy ends of the colon are reattached to one another with sutures. In more serious cases, however, a colostomy may be necessary, either temporarily or permanently. During a colostomy, a surgical opening, or stoma, is made through the abdomen to provide a path for waste elimination. Depending on the reason for the colostomy, it may be a temporary measure or a permanent solution. Certain hereditary illnesses, such as familial polyposis, are also a reason for a bowel resection since the polyps that develop due to this disorder will almost certainly become malignant by the time affected patients reach middle age. Colon resections are performed with the patient under general anesthesia. Whether the operation is performed as an open surgery or performed laparoscopically, the diseased portion of the colon is located and removed and the ends of the healthy tissue are stitched back together, a process known as anastomosis. In some cases, especially when the procedure is performed laparoscopically, the patient's abdomen may be filled with gas to help the surgeon obtain a clearer view of the abdominal cavity. In cases where a colostomy is required, a stoma, or opening in the abdomen to which one end of the colon can be attached, is created so that waste material can exit the body and be collected in an external bag. Whether the colostomy is only necessary to provide healing time for the colon, or whether it must remain in place permanently, the patient will be trained to empty the colostomy bag regularly in a hygienic fashion to prevent infection. Depending on the reason for the colectomy, the surgeon may biopsy lymph nodes or other organs in the area. 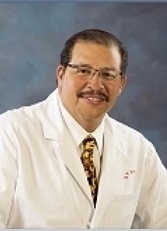 The colectomy surgery typically takes between 1 and 4 hours. In spite of the potential complications of a colon resection, in most cases the surgery is successful and the mortality rate for the surgery is only 1 percent. After a colon resection, the patient is typically fed intravenously for a few days. After these days have passed, the patient begins eating a liquid diet, then a diet of soft foods, and subsequently a low residue diet. This slow progression is designed to help the patient proceed smoothly into a pattern of normal digestion while giving the colon a chance to heal. If a colostomy has been performed, the patient will receive instructions on emptying the colostomy bag and keeping the area sanitary. If the colostomy is a temporary one, the patient will undergo a second surgery to reattach the bowel in approximately 3 months.